Although a bill to amend the Immigration Control Act is currently a controversial topic, only few focus on the abuses repeated every day at the heart of present immigration control system. Japan actually admits a large number of workers from abroad, but as disposable laborers like “trainees” “students” or irregular immigrants whose rights are strictly limited. Japan recognizes less than 1 per cent of asylum applicants in spite of its participation in UN Refugee Convention. 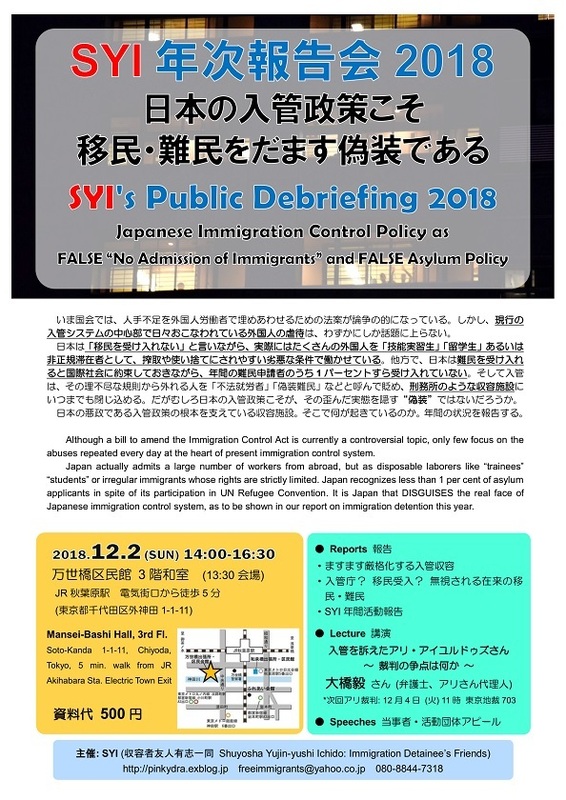 It is Japan that DISGUISES the real face of Japanese immigration control system, as to be shown in our report on immigration detention this year.